A necklift uses similar techniques as a facelift to approve the appearance of an aging neck which typically includes a sagging appearance of the skin and bands in the neck. Certain individuals are also genetically predisposed to having fatty deposits under the chin. Dr. Tepper will examine both the skin and the underlying muscle to determine what is necessary to restore a youthful neck. 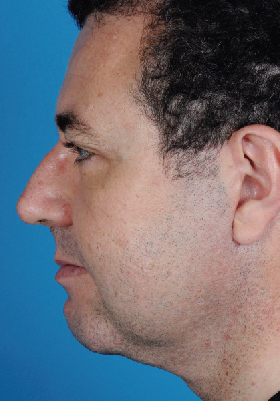 Surgical correction of these signs of aging may include repair or tightening of the neck muscle (platysma) and removal and mobilization of excess skin and fat. Liposuction of the chin and neck may also be necessary to improve contour. The required incisions vary based on individual needs, but are hidden under the chin and possibly just in front of or behind the ear. Necklifts are most commonly desired by older individuals, but can also be performed on younger individuals who are unhappy with the appearance of their natural neck. A neck lift is typically performed on an outpatient basis.